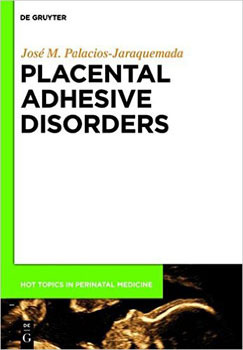 Abnormal placental adhesive disorders are associated to massive hemorrhage and high maternal morbidity and mortality. The main risk factor for abnormal invasive placentation is the repeated cesarean, although other factors were identified. There are specific techniques to provide a high confidence diagnosis. However, precise skills must be acquired to recognize detailed diagnostic signs, to avoid common technical mistakes, and also to know when, how and why it is necessary to use each of them. Presurgical study provides diagnosis, extension and compromise of neighboring structures such as the bladder or the parametrium. Knowledge of placental invasion extension -topography- is needed to plan any resective surgery such as hysterectomy or one-step conservative surgery. Due to the fact that topography of the invaded area has direct relation with the specific arterial pedicles, a map of the invasion is required to know which type of proximal vascular control can be more effective. Leaving the placenta in situ seems to be the best option when resources or a skilled team are not available, but it requires intensive postoperative controls to detect infection, bleeding or coagulation disorders. Hysterectomy can be an easy solution for non-experimented operators; however, it is usually a very complicated procedure with demonstrated morbidity and mortality due to hemodynamic and hemostatic problems.